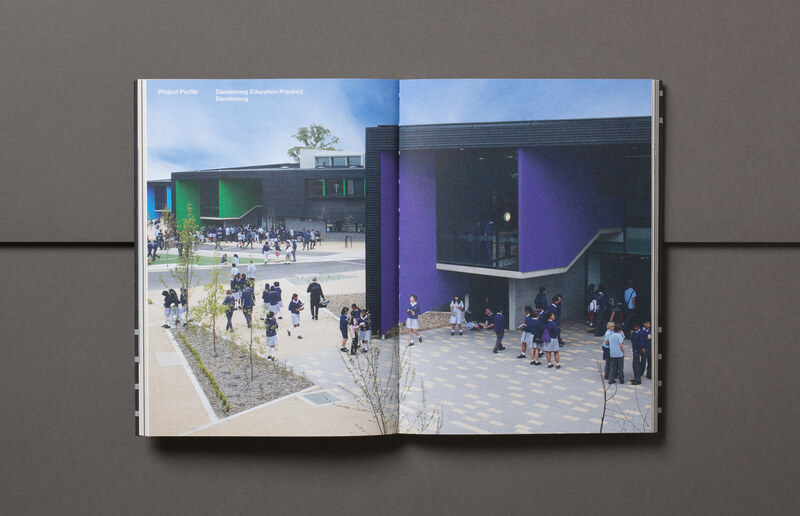 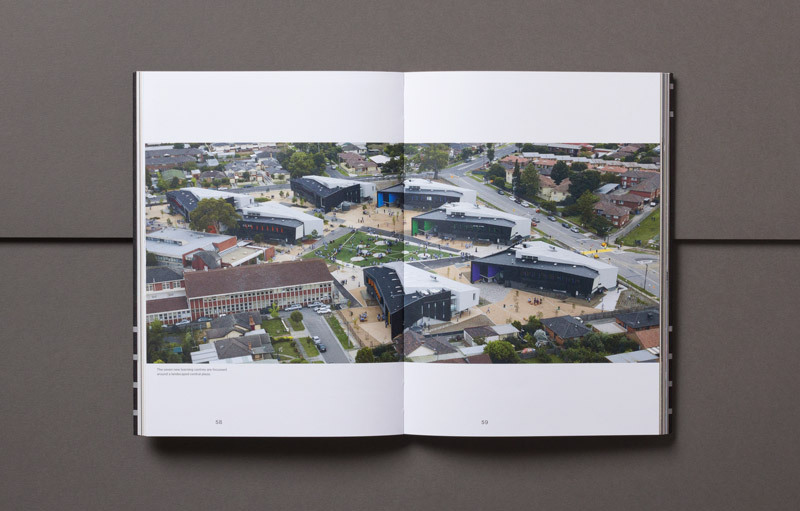 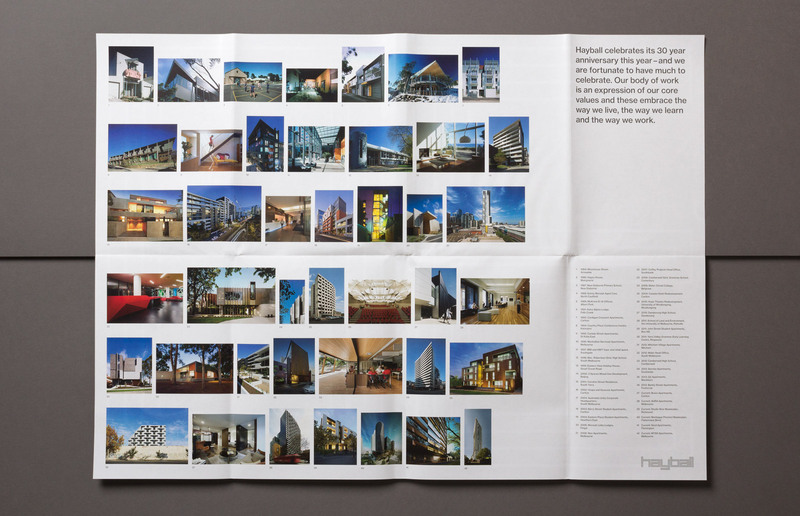 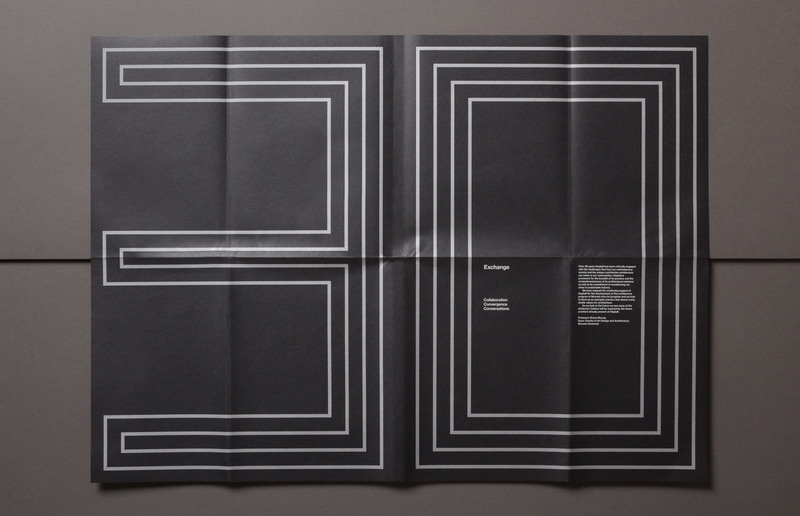 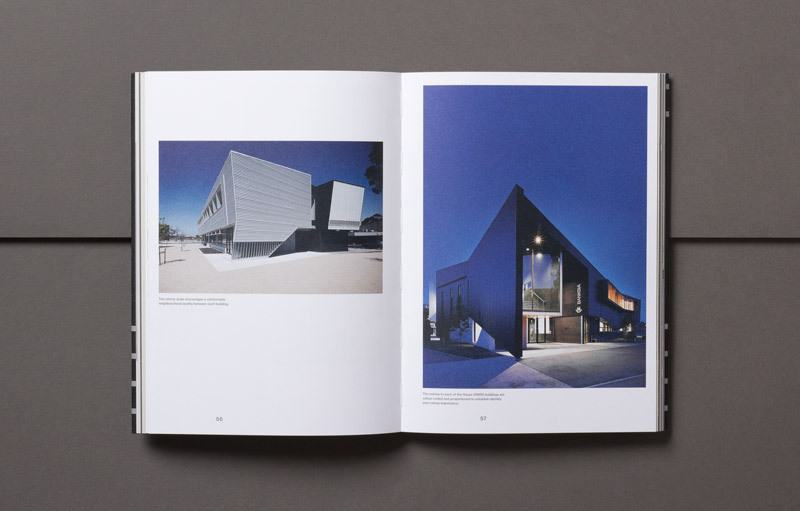 Hayball is a Melbourne-based architecture, interior and urban design practice. 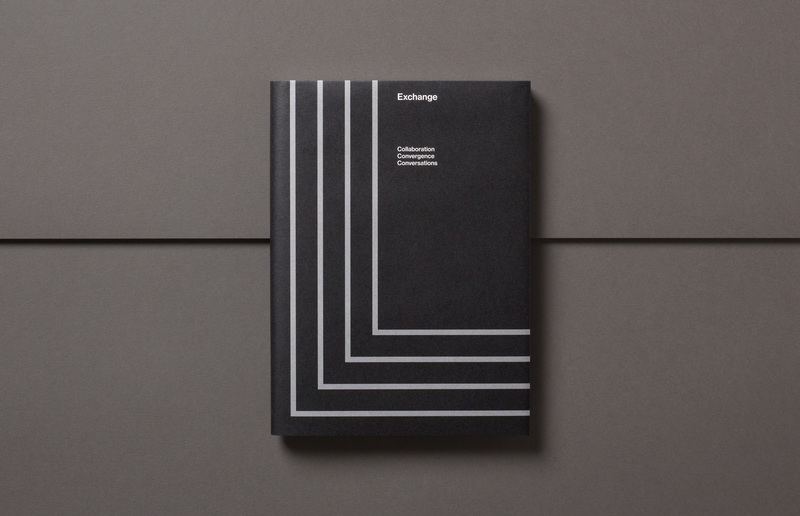 2013 marked the firm’s 30th year, and, to celebrate this significant milestone, a publication titled Exchange was published. 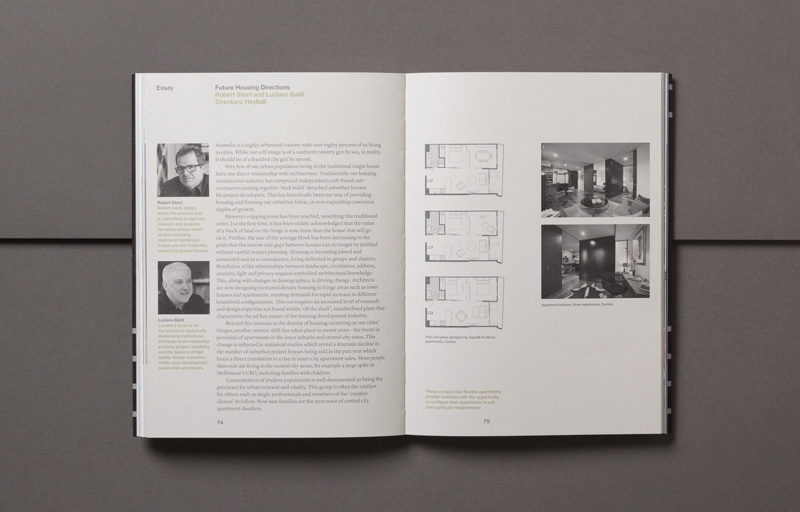 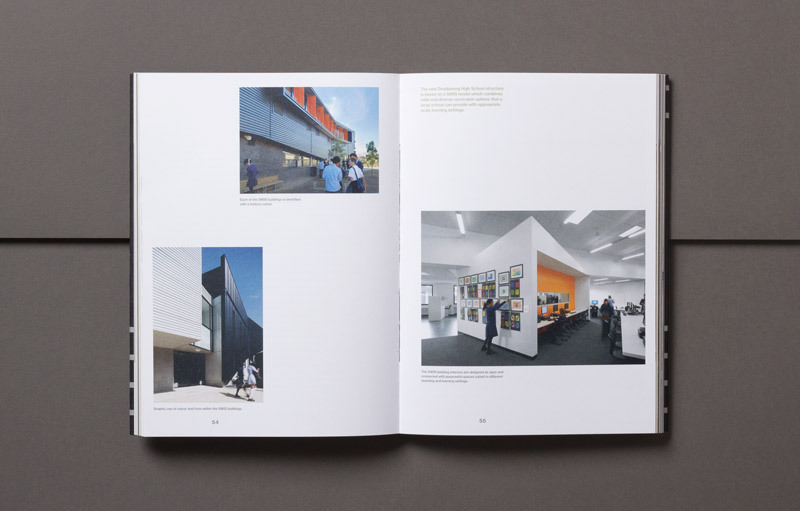 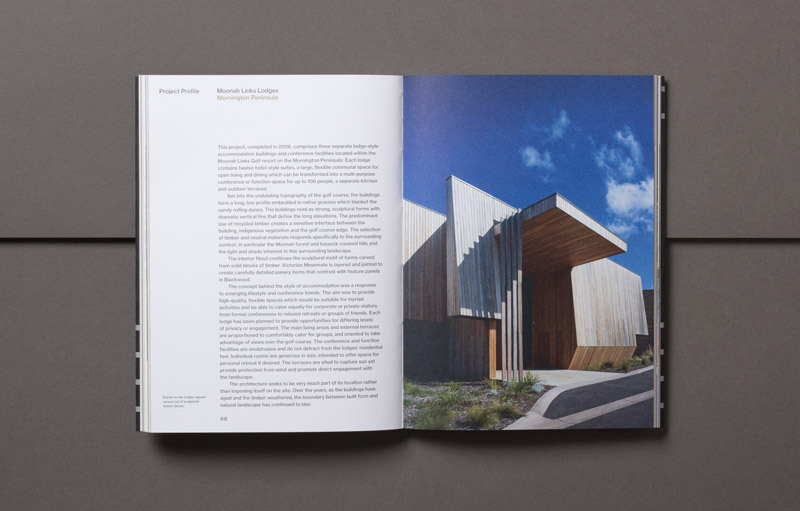 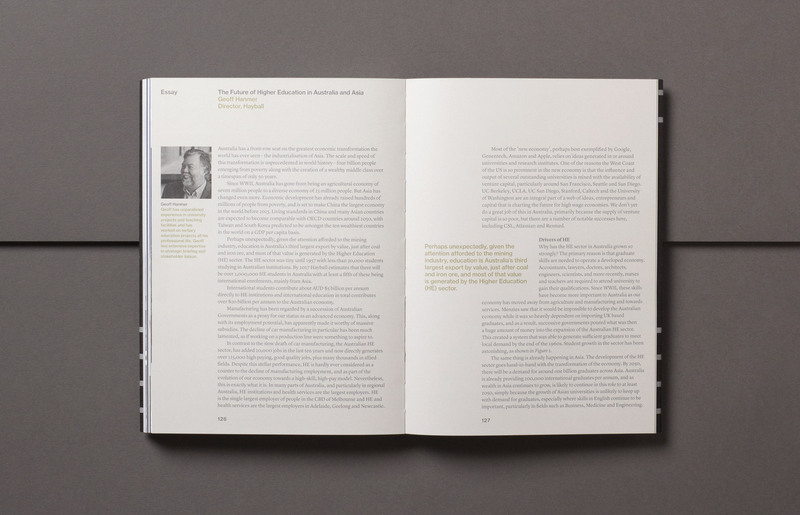 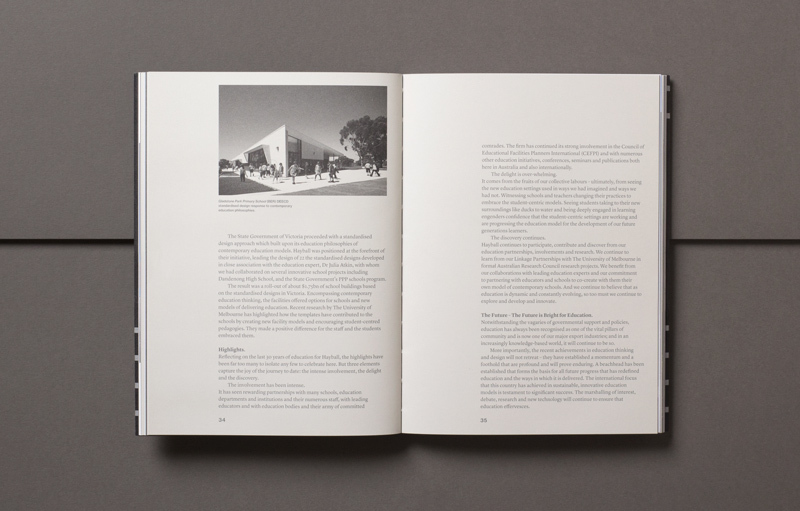 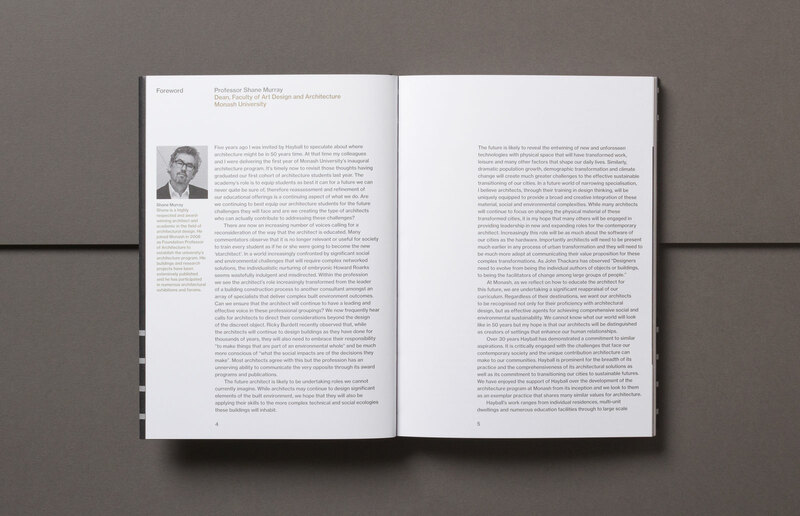 The book’s content is structured around a series of chapters focussing on the Hayball’s specific areas of expertise and features essays by key staff and collaborators. 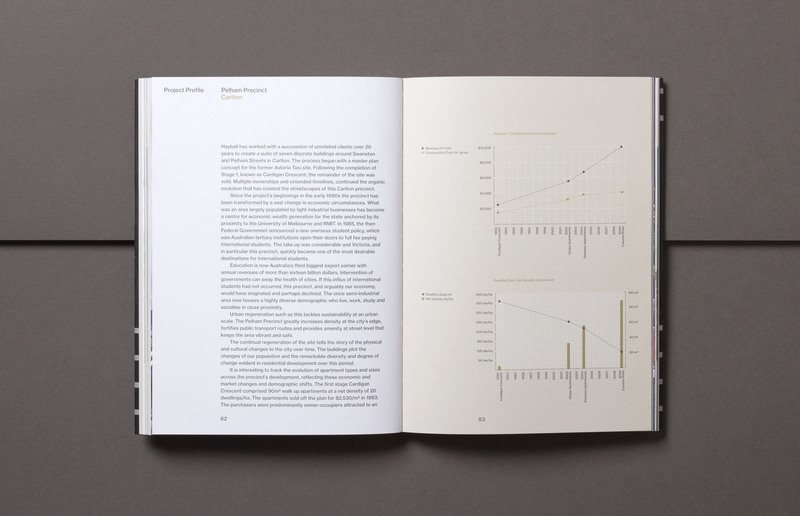 A critical requirement of the brief was that the book’s life should extend beyond the three decade milestone. 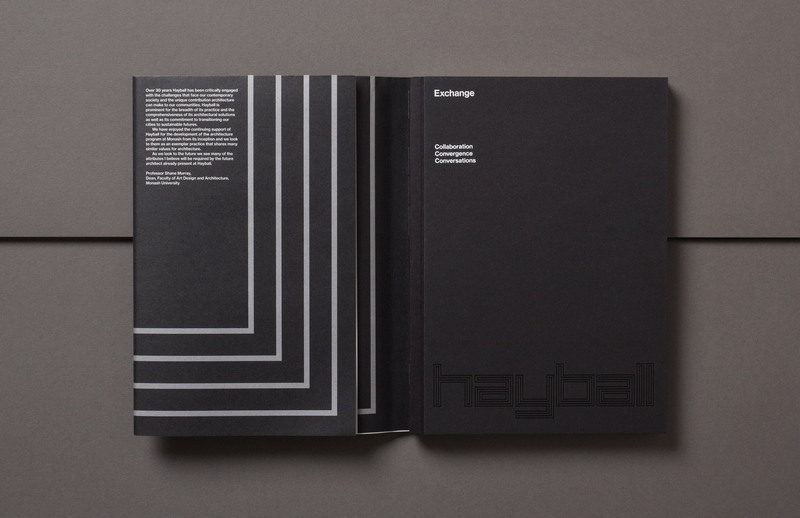 With this in mind, we designed a commemorative poster which fulfilled dual roles, both as a cover wrap and also as a stand alone promotional item for Hayball. 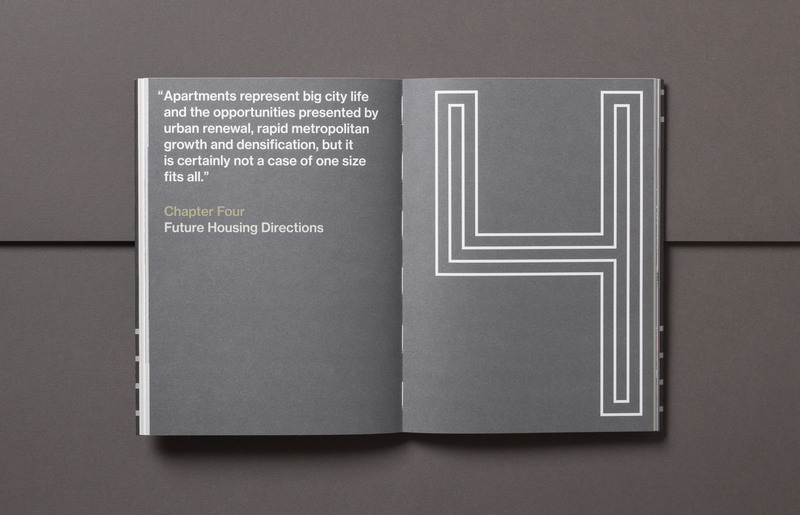 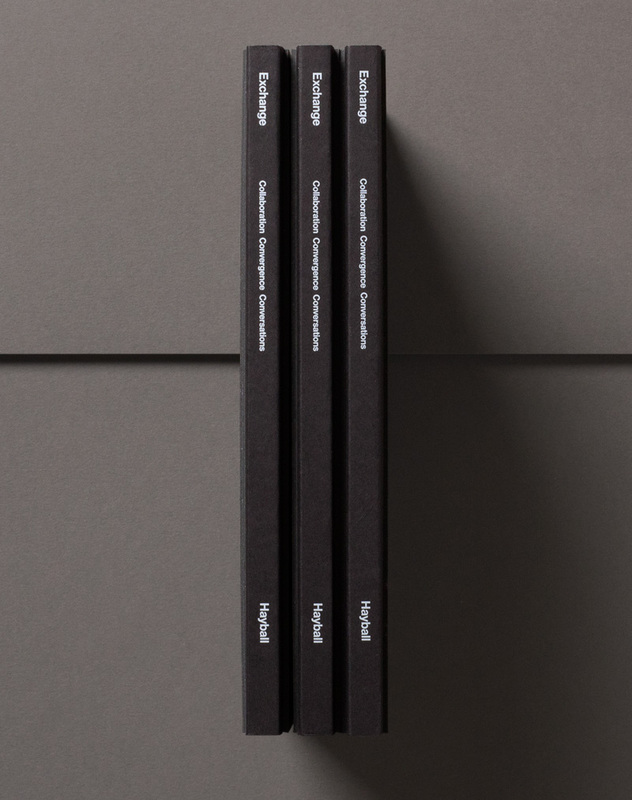 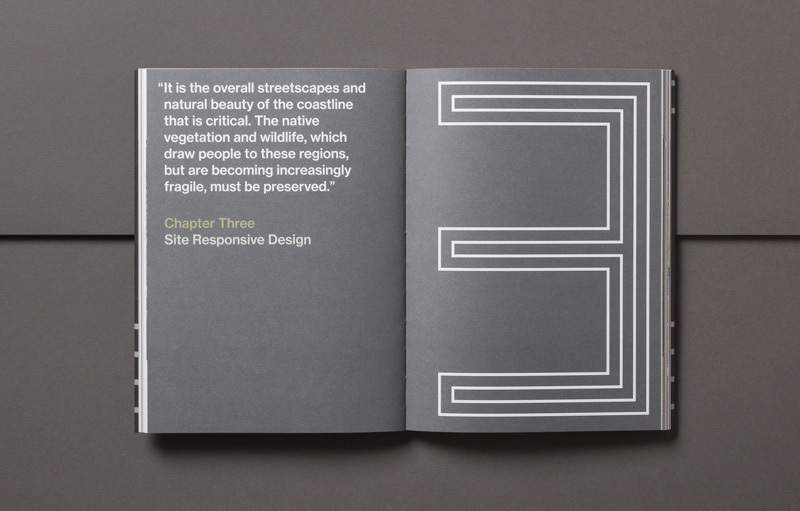 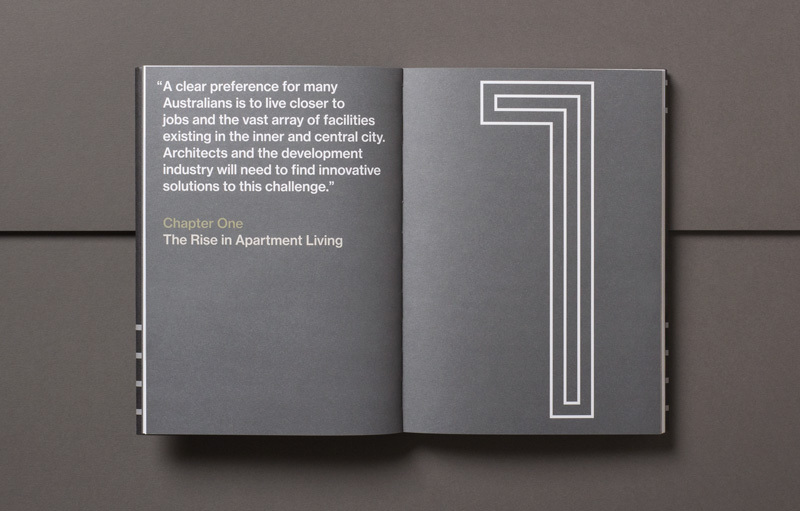 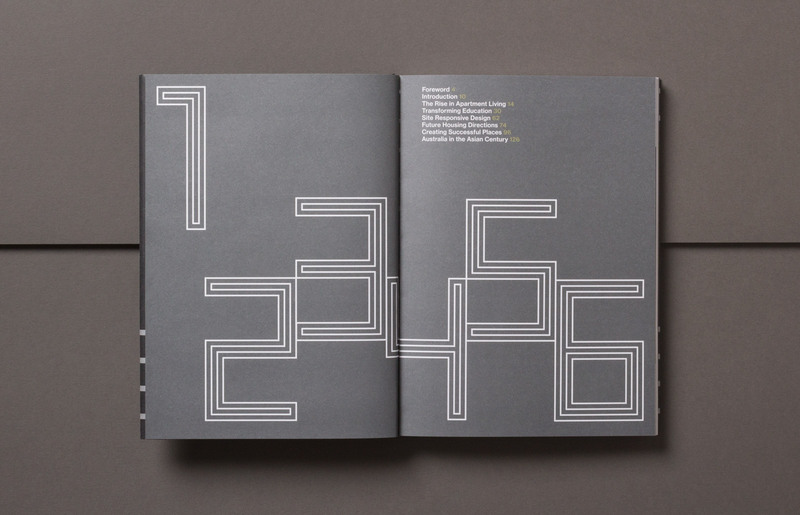 A set of keyline numerals based on Hayball’s logotype (designed by Latitude) was developed as a major visual element within the book.